Its important to stay safe on the internet also Bearville Paradise! Here's some tips to stay safe on bearville! Tip 1: Never share your password. Not even to your best friend! Why? People could go into your bearville paradise account, pretend to be you while chatting with friends, and maybe even get you banned! Tip 2: Use appropriate language. Using inappropriate language may not be a good thing. You could get in big trouble, maybe even banned! Tip 3: Treat others how you want to be treated. This is the golden rule. Admit it. If your ever thinking of calling other members names and blaming them and tease them well think before you post. If that person ever did that to you would you feel good or bad? Tip 4: What you post cannot be deleted. For example in real life if you called your best friend a name that could not be deleted. 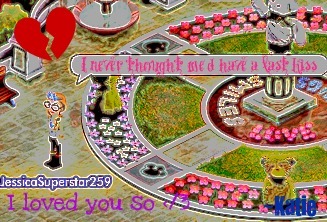 And it cannot be deleted on bearville paradise either so think... would they feel happy? Would you feel happy? Would you get a punishment? It can feel pretty embarrassing to get your account hacked. So you've heard these tips! All of these tips at least happened a million times around the world. You don't want that to happen to you right? Then follow these tips then! All of these are cybearbullying. Remember, only share a password and username if you are donating to the free accounts section. If you are still using the account (that your donating) Please remember that if you are still using that account don't share it! Thanks and stay safe online! I agree. It will help a lot! Thanks for posting! For Tip 1: I had an account on yt, I gave it to ONE person, and because of that, she closed my account. That also shows why you NEVER share your password with ANYONE. That is a very good example! I don't know why people would do such a thing. I know right. And she was one of my friends I thought I could really trust, guess not..
And I have no idea either. Yah I know. That shows that you shouldn't give out your password to anyone!! Because in the result, they could hack you, ban you, and get your account into SERIOUS trouble. Yup, that's good!And sometimee last week I think it was, some girl trie to make me believe she was fgonna ban and hack me because I "stole" her nerdy when my friend re3ally gave me them and she said in two days it would be banned, and it never was..She SAID her mom works at babw but I kind of doubted that..and I din't lose anything, chat, items, nerdy, nothing and I did report her once and report it to vwhelp@buildabear.com.